Vital to the cheese-making process, coagulants cause milk to separate into curds and whey. Although acid alone is used to coagulate some “fresh” cheeses, such as cottage cheese; the traditional cheese-making coagulants are enzymes. The main source until recent times has been rennet extracted from the abomasum or fourth stomach of the calf. Its principal enzyme is called rennin or chymosin. Chymosin added to milk, cleaves a specific peptide bond in casein, the most important milk protein. Casein, which exists in complexes called micelles, has four components. One of these, kappacasein, stabilizes the whole complex against coagulation, an action caused by the flocculating effect of calcium ions. When chymosin splits kappacasein, the rest of the casein micelle becomes unstable. It coagulates – or gels – due to the presence of calcium in the milk. Coagulation of milk depends on the pH, temperature, casein, and calcium content. As a coagulant, chymosin has shown distinct advantages over other proteolytic enzymes (pepsin, trypsin and papain) in producing a smooth, high-yielding curd, free from bitterness or off-flavors. High chymosin content in rennet has been shown in studies to produce better cheese yields. 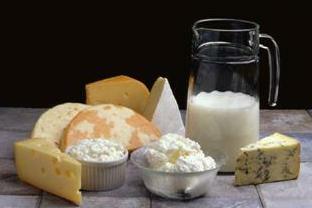 Nelson-Jameson offers a variety of enzymes suitable for commercial production of cheese. They are microbial coagulants and 100% pure chymosin produced by r-DNA fermentation technology. Call our ingredient product specialists for more information or an in-plant trial at 800-826-8302. For information on Coagulants, click here. To make informed decisions in the food, dairy and beverage industries, you need to have in-depth product knowledge and a variety of educational resources. Our Learning Center is designed to help you with all that. Visit our Learning Center today! This entry was posted in Cheese & Dairy Products, Packaging & Ingredients and tagged cheese, cheese-making, cheesemaking, coagulants, dairy, enzyme, Learning Center. Bookmark the permalink. Follow any comments here with the RSS feed for this post. Both comments and trackbacks are currently closed.